Maple Sugar Ragamuffins | Rosetta Bakes! This was my first time making Maple Sugar Ragamuffins, and it won’t be the last. I will make a couple of changes when I make them next time. 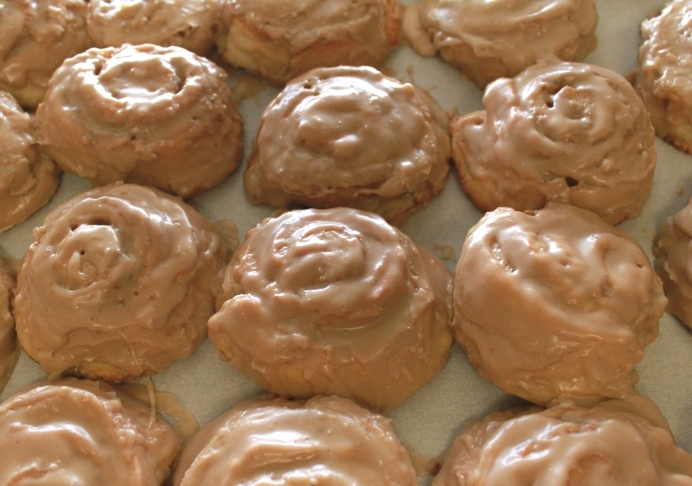 I would put less icing on them, and in the dough portion, I would only use 1 teaspoon maple extract, and in the icing recipe, I would only use 1/2 teaspoon maple extract, and when I make my maple sugar, I would only use 1/2 teaspoon maple extract. I guess what I’m saying is less maple. Maple is a strong flavoring, so a little goes a long way! so here’ s how you can make Maple sugar, it’s really easy. Put in blender and mix until all sugar is coated. Pretty easy!! Whisk together in a bowl, 2 cups flour, 1 Tablespoon maple sugar, baking powder and salt in a large bowl. Blend in 5 Tablespoons cold butter with a pastry blender until most of the mixture resembles a coarse meal with some small pea size butter lumps. 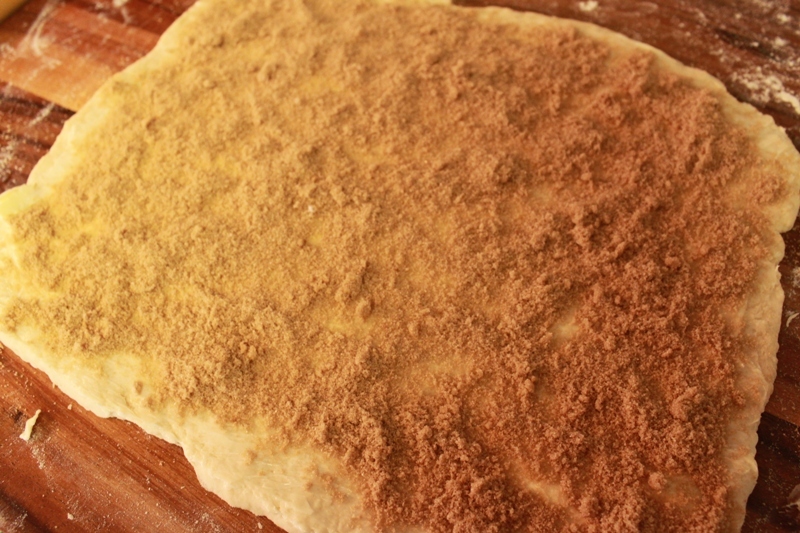 Make a well in the center of flour mixture and add milk. 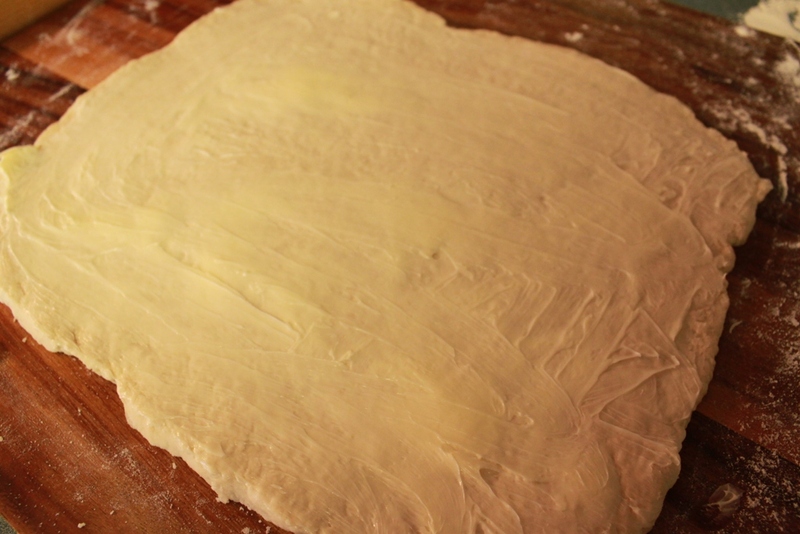 Toss with a fork until dough forms. Gently knead dough 10-15 times on a lightly floured surface. 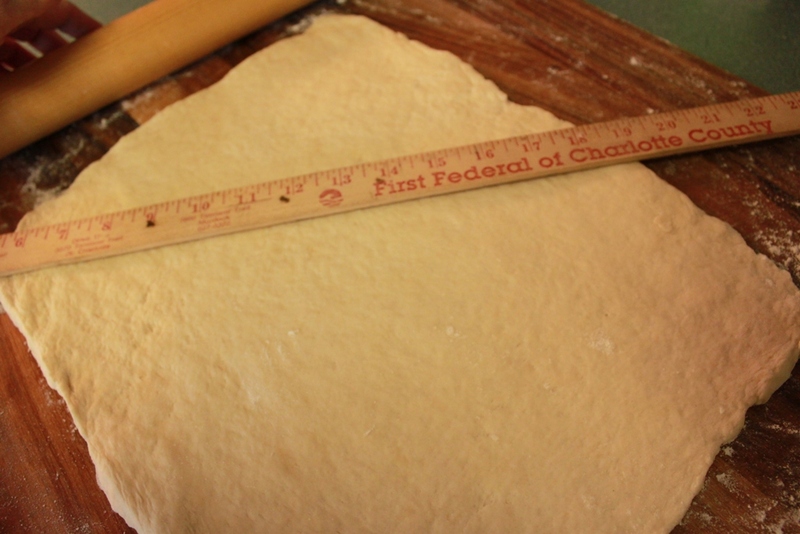 Roll out dough into a 13 x 11 inch rectangle shape. 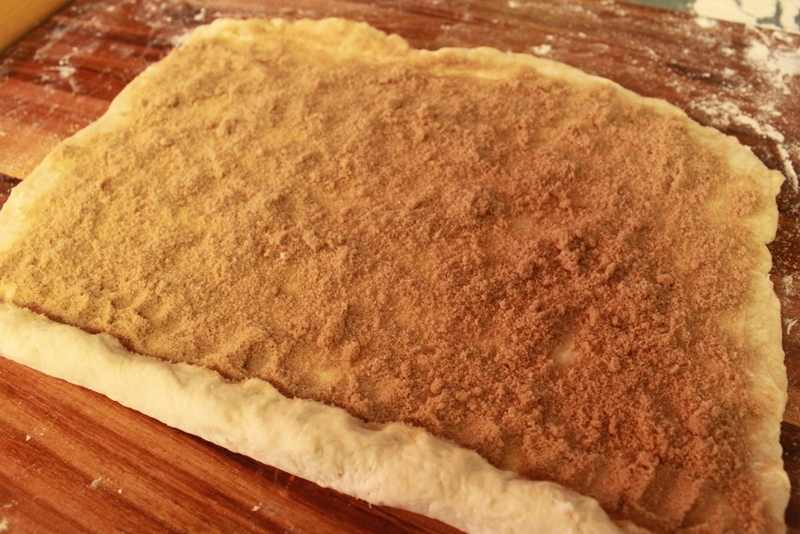 Spread softened butter evenly over dough. Don’t be afraid to use your hands to spread the butter more evenly, hands can be a great tool sometimes! Sprinkle 1 cup maple sugar all over, pressing firmly to help it adhere better. Do not add more butter or sugar then what recipe calls for…this is important. jelly roll style. Press to seal the seam. Cut roll crosswise into 1-inch slices. Arrange slices, cut side down 2 inches apart on a baking sheet. Sprinkle the tops with any left-over maple sugar. 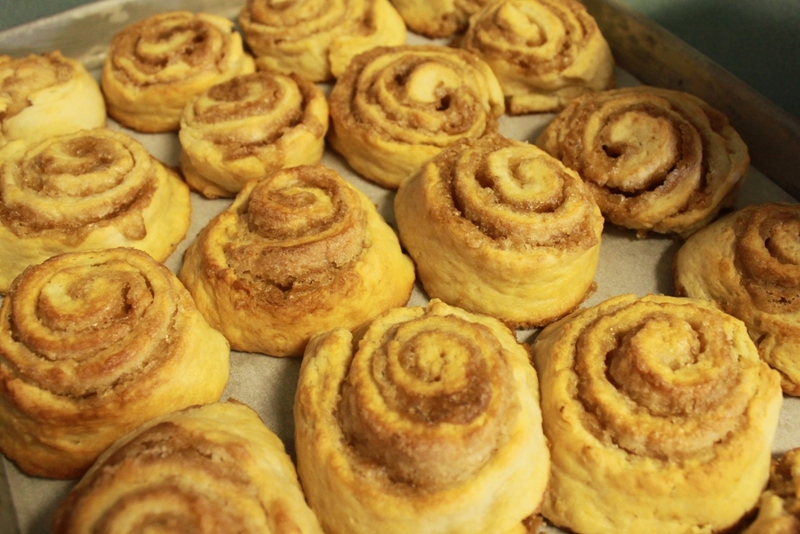 Bake until rolls are puffed and golden, about 18 to 20 minutes. 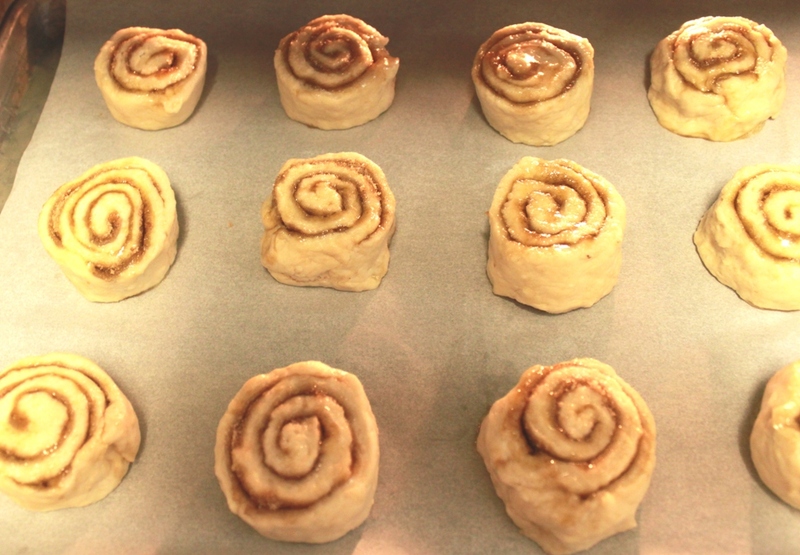 While rolls are baking, you can make your icing. I remove my rolls from the baking pan and transfer to another baking pan lined with parchment paper, this way you remove the rolls from any sugar that has oozed out during the baking process. Pour icing all over the rolls after they have been transferred to another baking sheet, about 10 minutes after they come out of the oven. * Hint: The butter and brown sugar tend to run out of these, even when you roll them tight, that’s why is real important to use exact amounts of butter and maple sugar. 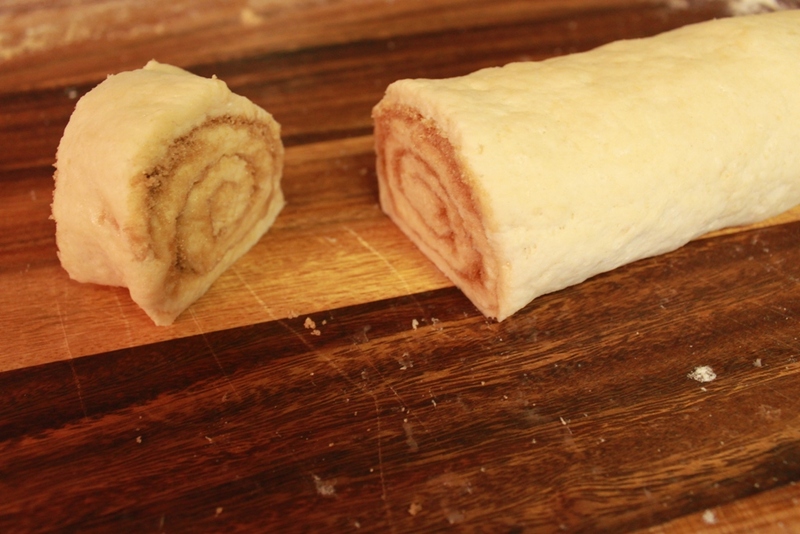 ***Hint: To help rolls hold their shape and lessen the amount of butter and maple sugar from oozing out, partially freeze them first before baking them.